A Dose of Awesome: Robots! Time once again to access our amazing archive of the assembled annals of astounding awesomeness! Join us as we explore the awesomely awesome awesomosity of robots! How awesome are robots? Just look at the Wikipedia page on robots. Robots are so awesome that not even Wikipedia’s mindless dedication to dreariness and tedium can manage to strip the awesomeness away! And if you want even more examples of robotic awesomeness, you should go here and prepare to spend all day getting your feeble nonrobotic brain blown. Robots are built by mankind to make their lives easier. Luckily, robots always go berserk and start shooting humans with lasers and chasing them with clamping claws and killing Sarah Conner and eating old people’s medicine for food and ruling the Earth as terrible metal despots. 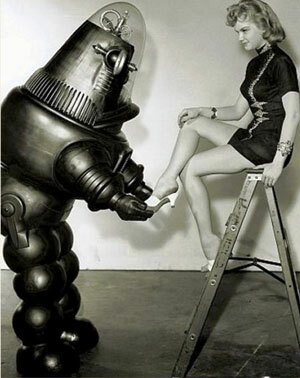 You love serving your robotic masters, don’t you, fleshbag? 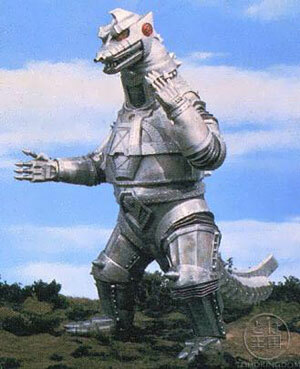 Even good robots are far more awesome than humans. R2D2, Machine Man, Data, the Iron Giant, KITT, Astro Boy, Tom Servo and Crow, Dynomutt — we were lucky they were on our side, ’cause they could’ve taken us over easy. And we would’ve loved them for it, ’cause they’re all just so awesome! 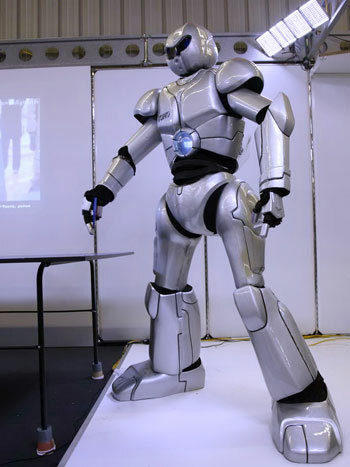 The robot pictured above is a real robot, not something from fiction. It was designed to play ping-pong. Yes, ping-pong. That in itself is pretty awesome. But just look at it. You know it’s got some lasers and chainsaws hidden away in there, right? 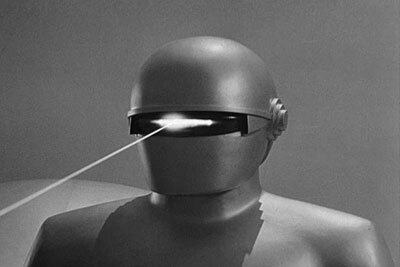 Never doubt the awesomeness of robots, or this guy will kill you with ping-pong balls accelerated to light speed. December 30, 2009 · Filed under Dose of Awesome!, Robots! Copyright © 2009 Hero Sandwich. Powered by WordPress and A Dream to Host theme by Art of Blog.